The lives, health and well-being of all people on earth will be affected by the decisions that individuals, governments and businesses make at the interface of forests and agricultural lands around the world. This is especially important for the hundreds of millions of people living in poverty at that interface. Forests and Food makes a timely and very necessary contribution as the world starts to focus on transforming our world by 2030 through the UN's Sustainable Development Goals. Access to world-class research evidence as provided here will help to deliver the first difficult steps on this ambitious but essential journey. By considering the many important interactions between people and their environment, this book takes a refreshingly inclusive approach to addressing the pressing problem of achieving of global food security. 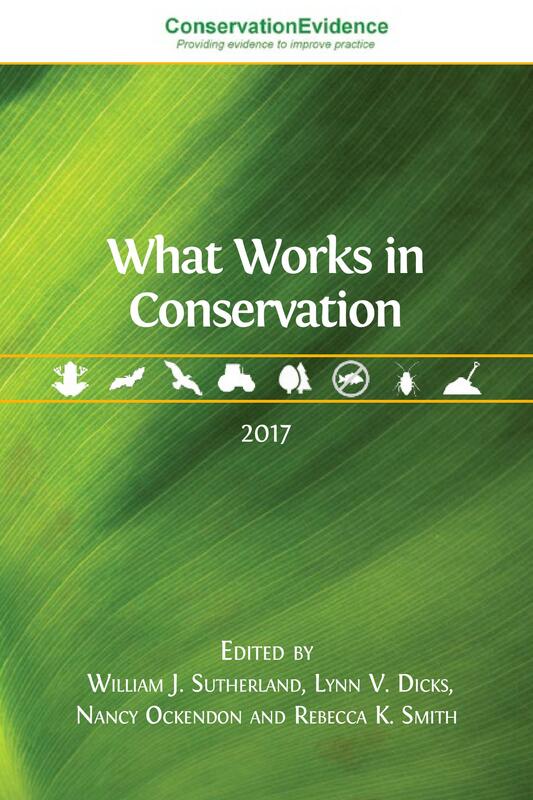 While it provides new insights especially for forest landscapes, the contents will be of interest to many others interested in sustainable development. The twin challenges of tackling hunger and poor nutrition, and addressing pressures on the world's forests, have never been more critical. In this timely new book a stellar line-up of authors show the vital synergies between forest ecosystems and food security, and how a people-centred, landscape-approach can harness these for the benefit of all. As population estimates for 2050 reach over 9 billion, issues of food security and nutrition have been dominating academic and policy debates. A total of 805 million people are undernourished worldwide and malnutrition affects nearly every country on the planet. Despite impressive productivity increases, there is growing evidence that conventional agricultural strategies fall short of eliminating global hunger, as well as having long-term ecological consequences. Forests can play an important role in complementing agricultural production to address the Sustainable Development Goals on zero hunger. Forests and trees can be managed to provide better and more nutritionally-balanced diets, greater control over food inputs—particularly during lean seasons and periods of vulnerability (especially for marginalised groups)—and deliver ecosystem services for crop production. However forests are undergoing a rapid process of degradation, a complex process that governments are struggling to reverse. This volume provides important evidence and insights about the potential of forests to reducing global hunger and malnutrition, exploring the different roles of landscapes, and the governance approaches that are required for the equitable delivery of these benefits. Forests and Food is essential reading for researchers, students, NGOs and government departments responsible for agriculture, forestry, food security and poverty alleviation around the globe. This book is based on the International Union of Forest Research Organizations (IUFRO) Global Forest Expert Panel report on Forest and Food Security. 1.1 Problem Statement: Can Forests and Tree-based Systems Contribute to Food Security and Nutrition? Bhaskar Vira’s research focuses on the political economy of natural resources, ecosystem services and development. His work has examined the political economy of land-use and landscape level strategies, water use and management, forest management, biodiversity conservation, ecosystem services and human well-being. His research on incentives for natural resource use and management deals with trade-offs and discourses relating to the concept of ecosystem services, and how this overlaps with poverty and human well-being. He is interested in the political economy of human-environment interactions, the ways in which societies value nature, and the political and economic context within which communities, businesses and policy makers make choices about alternative land and resource use strategies. Bhaskar is Reader in Political Economy at the Department of Geography, University of Cambridge, and Founding Director of the University of Cambridge Conservation Research Institute. He is closely involved with promoting inter-disciplinary collaboration and dialogue through his leadership roles in the Cambridge Conservation Initiative, and the Global Food Security strategic research initiative at the University of Cambridge. He is an Associate Editor of Environmental Conservation, Editorial Board Member of Global Environmental Change, and Advisory Board Member for Conservation and Society. Stephanie Mansourian is an environmental consultant who founded and has led the environmental consultancy Mansourian.org since 2004. She has worked extensively in the forest, environment and sustainable development sectors with multiple partners, including NGOs, numerous inter-governmental organisations, the European Commission, the Ramsar Convention, the International Union of Forest Research Organizations (IUFRO) and environmental foundations, as well as the leading business school, IMD. Her expertise spans a number of topics, with a particular emphasis on terrestrial conservation and forest landscape restoration. For five years she led WWF International’s forest landscape restoration programme. She has been involved in major reviews of topics such as REDD+ and forests and food security (scientific assessments with IUFRO), environmental and forest governance, lessons learnt from forest landscape restoration, to name just a few, and she has published widely on forest issues. Stephanie holds two Masters of Science, one of which is in Environmental Management, and is currently undertaking a part-time PhD with the University of Geneva on governance and forest landscape restoration..
Christoph Wildburger is the coordinator of the Global Forest Expert Panels initiative of the Collaborative Partnership on Forests (CPF) for IUFRO, the International Union of Forest Research Organisations. As a consultant on environmental policy and natural resource management, he has twenty years of work experience with international institutions and organizations, universities, government agencies, NGOs, and the media. Mr. Wildburger is mainly working at the science-policy interface, providing scientific synthesis and technical analysis, policy proposals and research on relevant issues. His clients include the World Bank, UNEP, the UNFF Secretariat, the CBD Secretariat, UNECE, IUCN, WWF, FOREST EUROPE, the European Commission and governments. He holds a PhD from the University of Natural Resources and Life Sciences, Vienna. © 2015 Bhaskar Vira, Christoph Wildburger and Stephanie Mansourian. Copyright of each individual chapter is maintained by the author(s). Please see the captions for attribution relating to individual images. Unless otherwise stated, all images are under a CC BY license. Every effort has been made to identify and contact copyright holders and any omission or error will be corrected if notification is made to the publisher. Forests and other tree-based systems such as agroforestry contribute to food and nutritional security in myriad ways. Directly, trees provide a variety of healthy foods including fruits, leafy vegetables, nuts, seeds and edible oils that can diversify diets and address seasonal food and nutritional gaps. Forests are also sources of a wider range of edible plants and fungi, as well as bushmeat, fish and insects. Tree-based systems also support the provision of fodder for meat and dairy animals, of "green fertiliser” to support crop production and of woodfuel, crucial in many communities for cooking food. Indirectly, forests and tree-based systems are a source of income to support communities to purchase foods and they also provide environmental services that support crop production. There are, however, complexities in quantifying the relative benefits and costs of tree-based systems in food provision. These complexities mean that the roles of tree-based systems are often not well understood. A greater understanding focuses on systematic methods for characterising effects across different landscapes and on key indicators, such as dietary diversity measures. This chapter provides a number of case studies to highlight the relevance of forests and tree-based systems for food security and nutrition, and indicates where there is a need to further quantify the roles of these systems, allowing proper integration of their contribution into national and international developmental policies. Forests and tree-based systems are an important component of rural landscapes, sustaining livelihoods and contributing to the food security and nutritional needs of hundreds of millions of people worldwide. Historically, these systems developed under a wide variety of ecological conditions, and cultural and socio-economic contexts, as integrated approaches that combined management of forest and agricultural areas to provide primarily for the needs of producers and their local communities. Today they serve food and nutrition demands of growing global populations, both urban and rural. Population increase, globalisation, deforestation, land degradation, and ever-increasing demand and associated conflict for land (including forest) resources are placing pressure on these lands. Farmers have been encouraged to intensify food production on existing agricultural lands, by modifying some traditional practices (such as agroforestry) or abandoning others (such as shifting cultivation) that evolved over centuries to cope with biophysical constraints (e.g. limited soil fertility, climate variability) and changing socio-economic conditions. This chapter provides an overview of forests and tree-based systems and their role in enhancing food security and nutrition for rural communities and those served through the marketplace. The variability and viability of these management systems are considered within and across geographical regions and agro-ecological zones. Also discussed is the role of the social, cultural and economic contexts in which these systems exist, with a focus on three factors that affect the socio-economic organisation of forests and tree-based systems, namely: land and tree tenure and governance, human capital (including knowledge and labour) and financial capital (including credit). How these biophysical and socio-economic conditions and their complex interactions influence food security and nutrition outcomes, particularly for vulnerable segments of the population (i.e., the poor, women and children), are of particular concern. 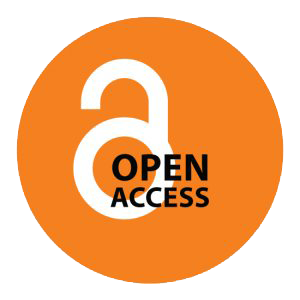 In the context of this chapter, drivers are considered to be natural or anthropogenic developments affecting forests and tree-based systems for food security and nutrition. They can improve and contribute to food security and nutrition, but they can also lead to food insecurity and malnutrition. For analytical purposes, drivers are separated here into the following four interconnected categories: (i) environmental, (ii) social, (iii) economic and (iv) governance. When reviewing scientific findings twelve major drivers (i.e. population growth, urbanisation, governance shifts, climate change, commercialisation of agriculture, industrialisation of forest resources, gender imbalances, conflicts, formalisation of tenure rights, rising food prices and increasing per capita income) were identified within these four categories. They affect food security and nutrition through land use and management; through consumption, income and livelihood; or through both. These drivers are interrelated and can have different consequences depending on the social structure; for example, they can support food security for elite groups but can increase the vulnerability of other groups. This chapter presents potential landscape-scale responses that attempt to reconcile the oft-competing demands for agriculture, forestry and other land uses. While there is no single configuration of land-uses in any landscape that can optimise the different outcomes that may be prevalent within a particular landscape, there are options for understanding and negotiation for the inherent trade-offs that characterise such outcomes. With increasing pressure on biodiversity and ecosystem services across many landscapes from the growing impact of human activities, hard choices have to be made about how landscapes could and should be managed to optimise outcomes. In a context where views on landscape-scale management options are often deeply entrenched and conflicts of interest are difficult to reconcile, consensus on what constitutes "success” may be difficult to achieve. Political economy and wider governance issues have often meant that a theoretically optimal landscape is unrealistic or unachievable on the ground. However, in this chapter we attempt to provide an over-arching framework for landscape approaches and how such approaches can contribute to both conservation and the achievement of food security and nutrition goals. This chapter focuses on political, economic and social response options at national to supranational scales to drivers of unsustainable management of forests and tree-based landscapes and their effects on food security and nutrition. Three different angles are considered: a) policy responses to enhance linkages between food security and forests with a focus on setting up the right institutional and governance structures and addressing the important issue of forest tenure reform; b) market-based response options that focus on global processes for supporting sustainable supply, and innovative corporate and multi-actor initiatives to support inclusive value chains of forest and tree products; and c) socio-cultural response options to enhance food security where the focus is on: changing urban demand; education to change behaviour and improve dietary choices; reducing inequalities and promoting gender-responsive interventions; and social mobilisation for food security.